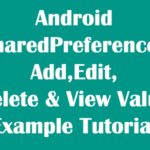 How to check and execute some line of code only first time when application starts in android mobile device using SharedPreferences. 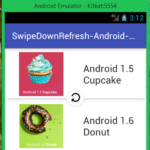 SharedPreferences gives us the facility to detect our application status so we can detect whether our android application starts the first time or not and using then we can execute some line of code or open a new activity or do anything for first time. 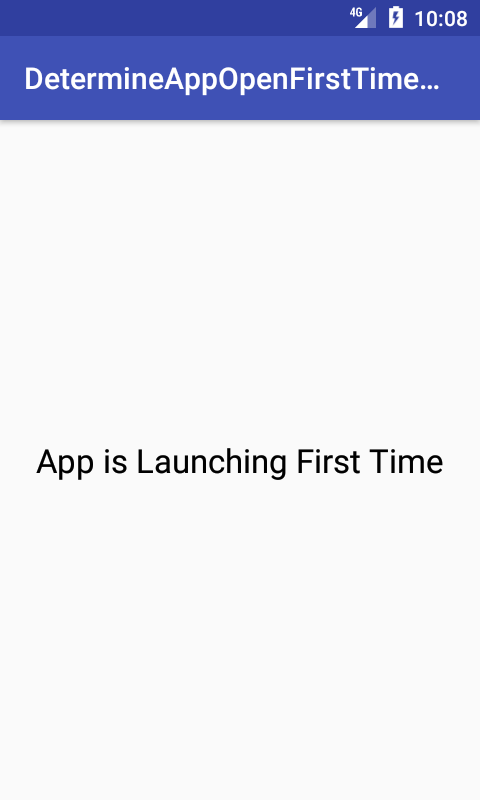 So in this tutorial we are going to create an android application which can Determine App Starts First Time OR Not Programmatically. 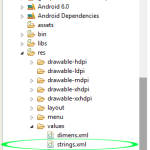 Contents in this project Determine App Starts First Time OR Not Programmatically. 1. 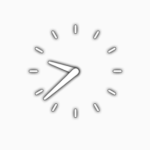 Create TextView widget in activity_main.xml file . 2. Create SharedPreferences, SharedPreferences.Editor, TextView and Static string object in MainActivity.java file. 3. Set SharedPreferences mode private using context and set SharedPreferences Editor to edit mode. 5. 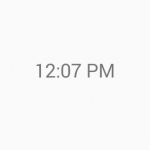 Assign ID to TextView object. 6. Create CheckAppIsOpenFirstTimeOrNot() function with return type boolean . // If App open for first time then return true. 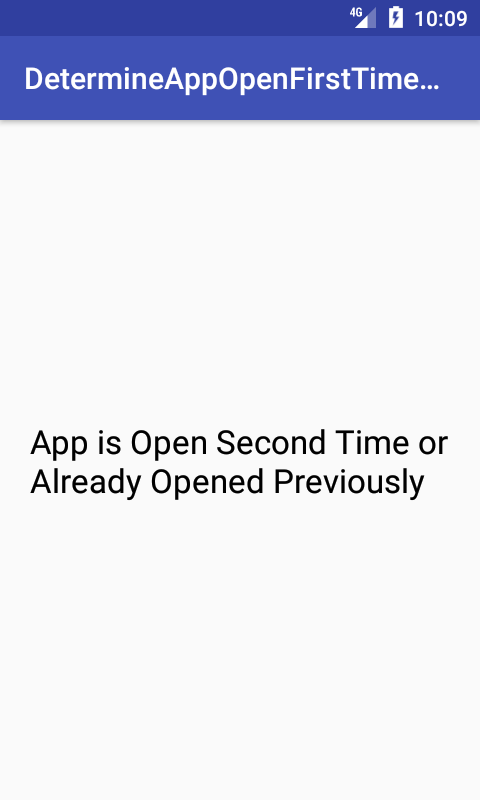 // If App open second time or already opened previously then return false. 7. 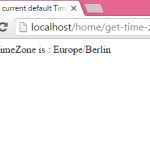 Set If condition and call the CheckAppIsOpenFirstTimeOrNot() function inside it. 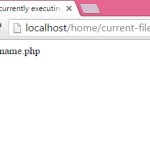 Your codes will error with AppcompatActivity. But with Activity, it does not make a error. Sir i have already created this tutorial with AppCompatActivity . This is working fine.